Thank you for submitting your comments, questions and suggestions using our form. We welcome and appreciate your communication. 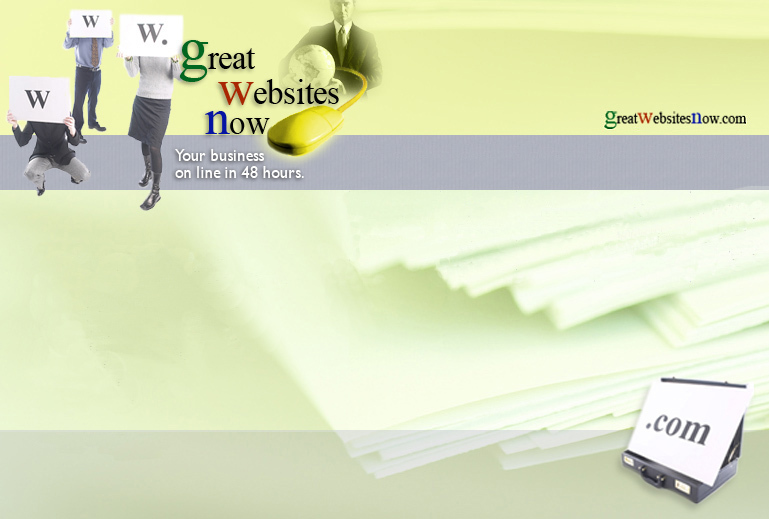 You may also email us at : feedback@greatwebsitesnow.com , or call us at 877-MY-SITE-Now. We will respond to you promptly, using the contact that you provided. ©Copyright 2001 - 2018, GreatWebsitesNow.com All Rights Reserved.